Since 1986, Walter A. Reynoso, Esq. has dedicated his practice to handling criminal defense in state and federal courts across the State of Florida and throughout the United States. A well-respected Criminal Defense attorney, Mr. Reynoso has successfully represented many high-profile clients over the years, including professional athletes, politicians, doctors, attorneys and lead defendants in major felony, drug and money laundering cases. He is a member of the Florida Bar and is admitted to practice in the Southern and Middle Districts of the United States District Courts. Mr. Reynoso is a distinguished lifetime member of the National Association of Criminal Defense Lawyers and is a current member and past president of the Colombian Bar Association. The law firm of Walter A. Reynoso, P.A. has been awarded an AV rating by the Martindale-Hubbell legal rating service. The AV rating is the highest accolade in Martindale-Hubbell’s rating system and was awarded as a result of an extensive, confidential review conducted among legal professionals in Mr. Reynoso’s community. This rating signifies that Mr. Reynoso and his law firm’s legal abilities are of the very highest standards and that their professional ethics are unquestioned. The law firm had also been recognized as “Top Lawyers” in the South Florida Legal Guide and was named “Top Attorneys in the Country” by Newsweek Magazine. 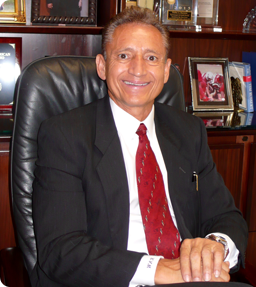 Mr. Reynoso graduated from the Boston College School of Law in 1985. While at Boston College, he was a Staff Writer for the Boston College Uniform Commercial Code Reporter Digest and he worked for the Department of Justice, Securities and Exchange Commission, Enforcement Division. Mr. Reynoso has an undergraduate degree in Business Administration from John Carrol University. When Mr. Reynoso is not in the office, he is active in the community. Mr. Reynoso volunteers time by assisting the homeless of South Florida and Sponsors Camillus House and Miami Rescue Mission. The law firm also runs a Law Mentor Program at local middle schools, where children take part in a mock trial by participating as prosecutors, defense attorneys and jurors. Mr. Reynoso and his family have received awards for their efforts in coordinating holiday parties and other events for the foster children of the Children’s Home Society.